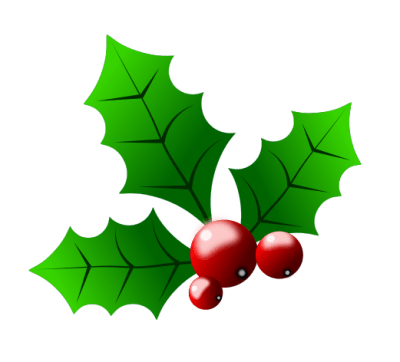 Week Long Boxing Day Sale – Midnight Christmas Day right through ’til Midnight New Years Day! Here comes our massive Week Long Boxing Day Sale at The Home Furniture Store. It is a joy to offer our wonderful customers the fabulous chance to grab a bargain without even leaving your house! 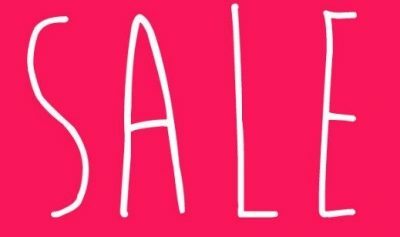 Yes a Week Long Boxing Day Sale! So we will be cutting our prices by a whopping 35% on all Casamore Indoor Furniture . This great opportunity is almost too good to be true! Why not make the most of your small spaces. 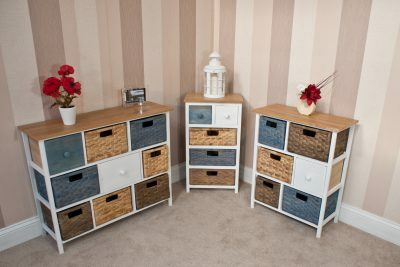 First of all create an organised haven by buying one of our many attractive storage units from, say our Camber Range. Then have fun filling them up with all that clutter that has been driving you mad. Make your hallway a warm, welcoming place with hats, gloves and shoes neatly stored away. Come and see exciting new storage ideas to help maximise the space in your home. All this to help provide a clean fresh look. Alternatively celebrate the incoming New Year! Enjoy an affordable indulgence such as a pair of our French styled Limoges shabby chic bedside units. 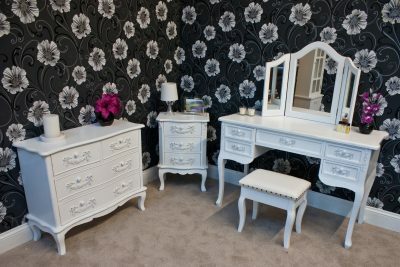 In addition complete the elegant look by adding an exotic Limoges Dressing Table. Turn your bedroom into an glamorous, shabby chic sanctuary. Take a plunge! Save yourself money whilst treating yourself to the height of fashion chic! The swinging 60’s look is very much back in vogue so be bold and satisfy your yearning to make a style statement. 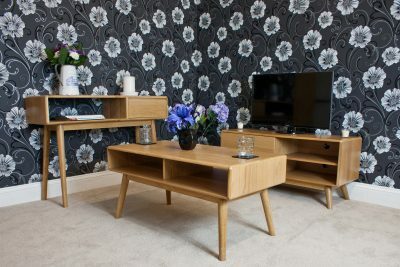 Spice up your Living room and make that Retro Coffee Table yours! Whatever you style, when it comes to furnishing your home, there is nothing like that great feeling you get when you finally find that perfect piece of furniture for you! Furthermore, if that elusive item then saves you 35% off the full price, then the joy of ownership is doubled! So grab your perfect chest of drawers with our exquisite Farmhouse 7 drawer Chest to complete your dream look. Its classic solid Oak finish makes it a timeless piece whose appeal will last forever. In addition take a look at the quintessential Farmhouse Coffee Table for your Living room that will add that certain flair. Why not reward your patience with a late Christmas present that will keep the smile on your face for months to come!  However you are planning to celebrate over the Festive Break – don’t forget The Home Furniture Store Massive Week Long Boxing Day Sale! 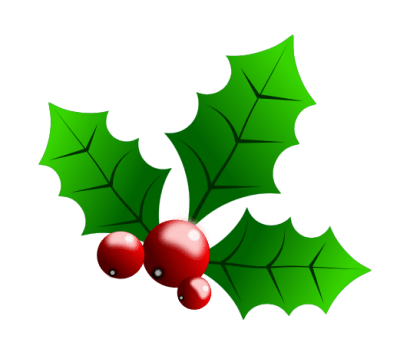 Merry Christmas, Happy New year and Joyful Shopping at The Home Furniture Store! From all the Sales Team at The Home Furniture Store. ← Malvern Autumn Show 2016-COMPETITION TIME!! !